The Crossness Sewage Treatment Works (STW) is Thames Water’s second largest treatment works plant, treating water for most of South London. 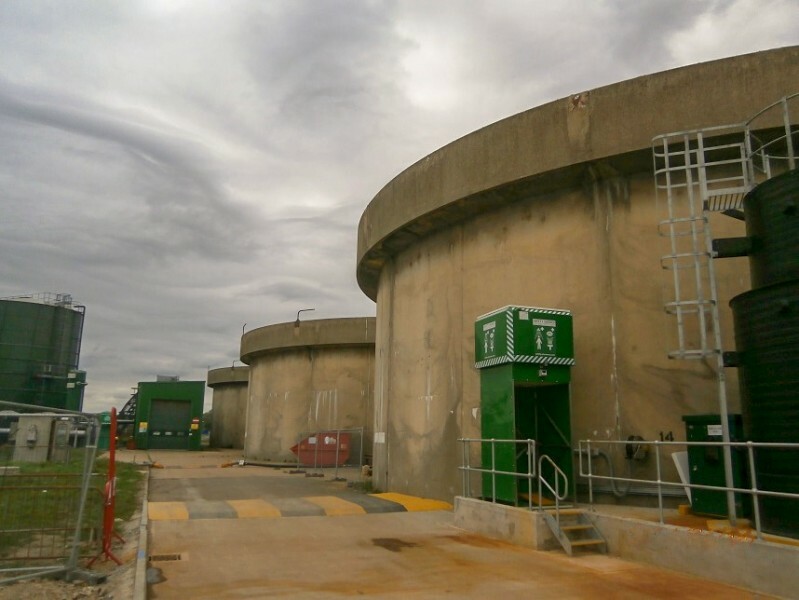 As well as treating huge amounts of sewage each day, it is also home to one of Thames Water’s two sludge-powered generators, which produce renewable energy to assist in powering the site. 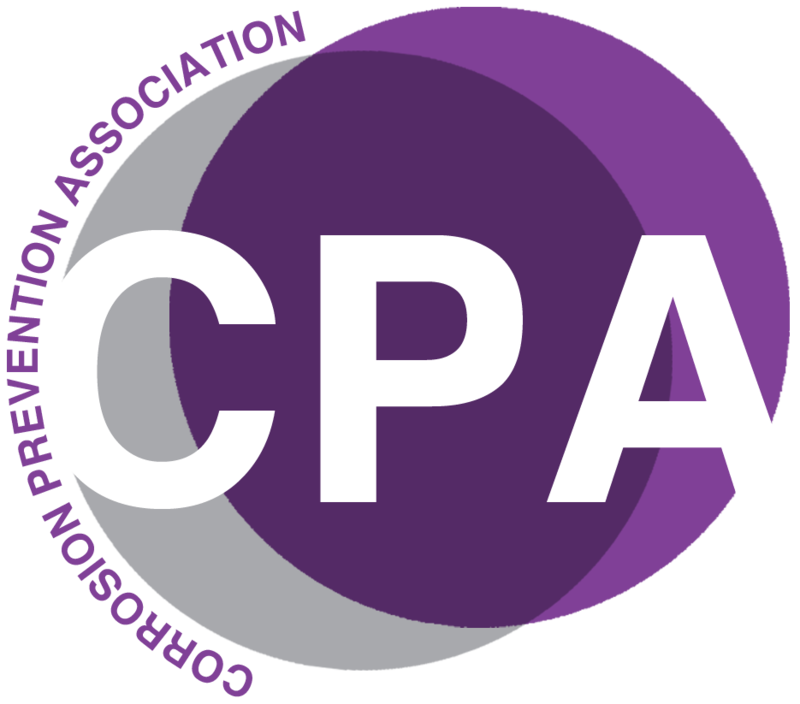 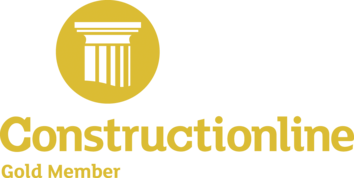 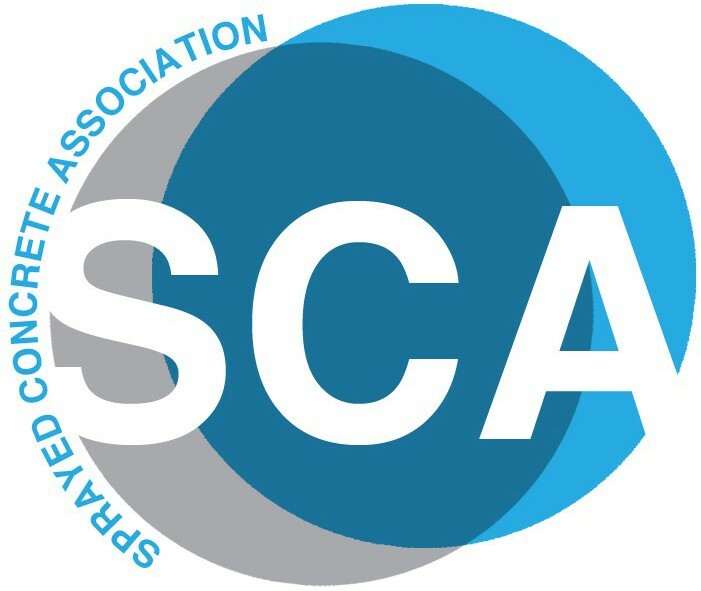 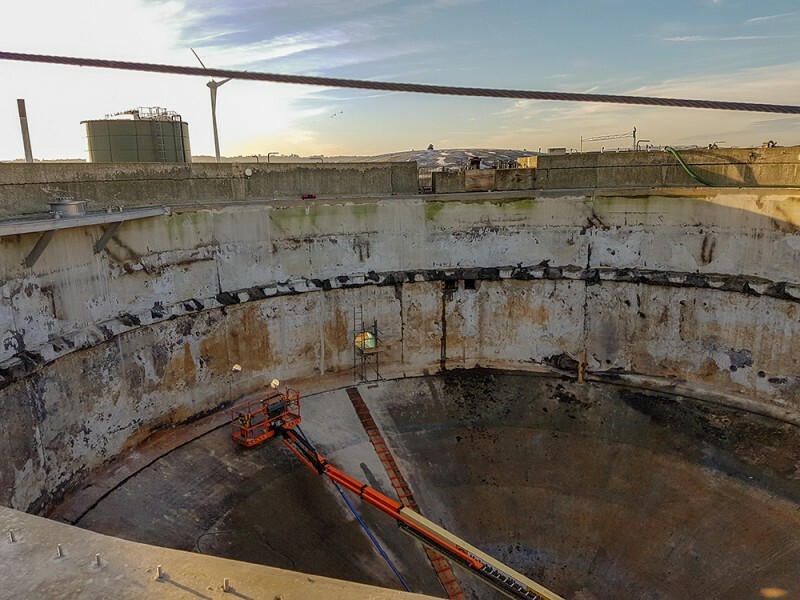 APA Concrete Repairs Ltd were appointed to undertake various surveying and remedial works to refurbish two of the STW digester tanks. 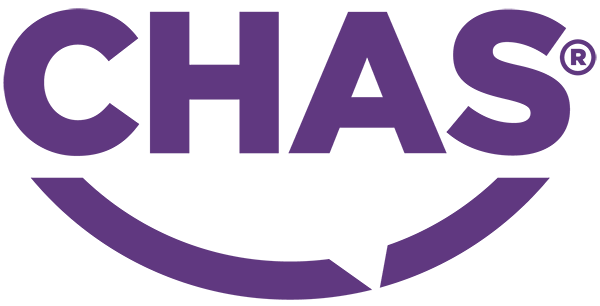 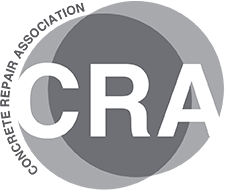 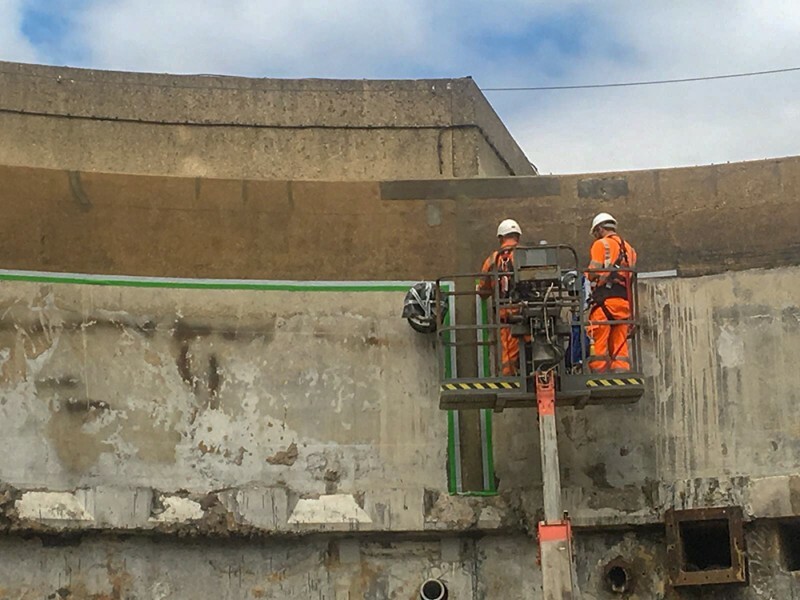 Initial works consisted of various surveys and tests to determine the scope of remedial works required, including structural surveys, carbonation tests and chloride profiling. 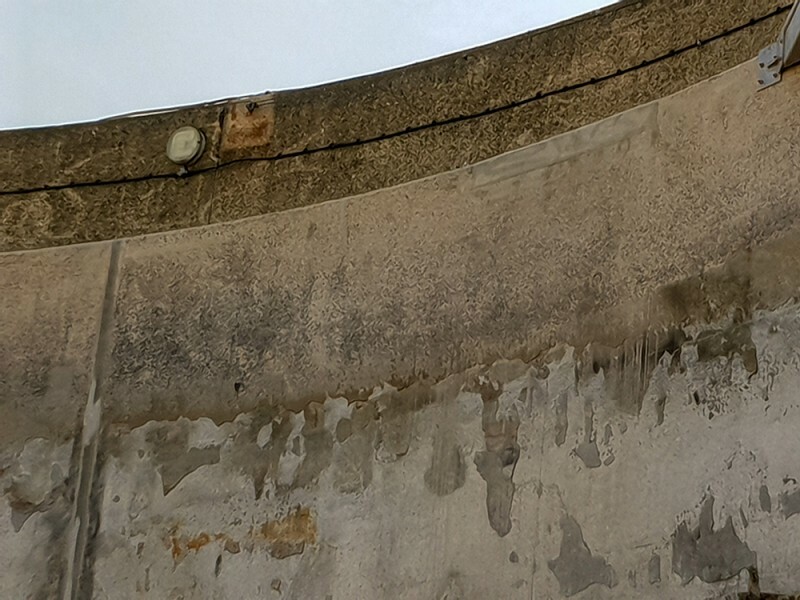 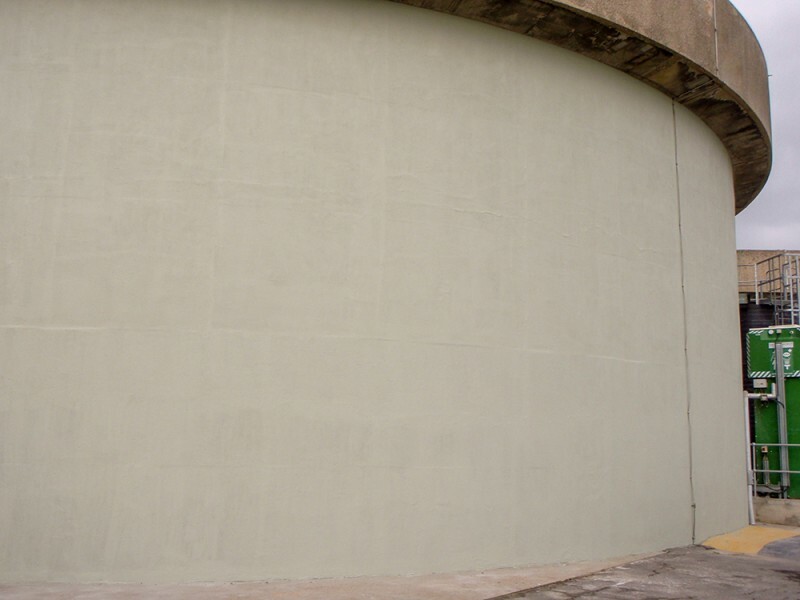 Upon completion of testing, internal concrete defects located on both tanks were identified, broken out and repaired using a high strength, polymer modified SikaMonotop 612 repair mortar, complete with the provision of protective coatings. 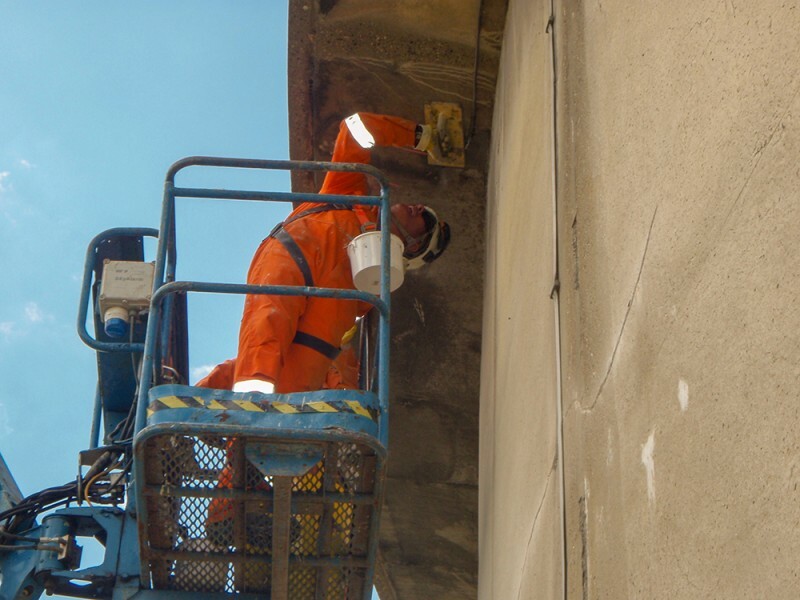 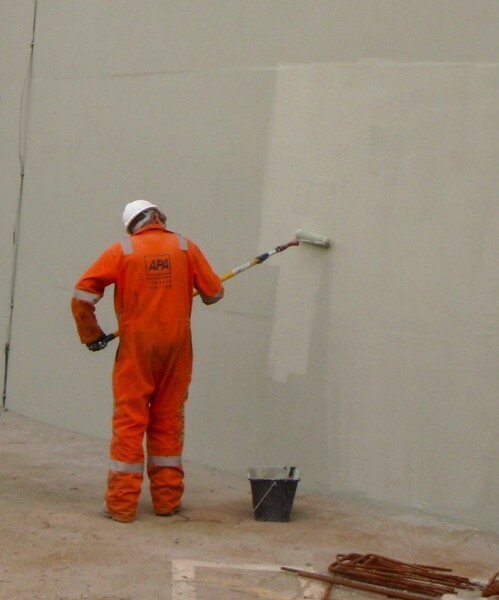 External concrete surfaces were then thoroughly prepared prior to the application of a SikaMonotop 620 to infill any honeycombing and blow holes. 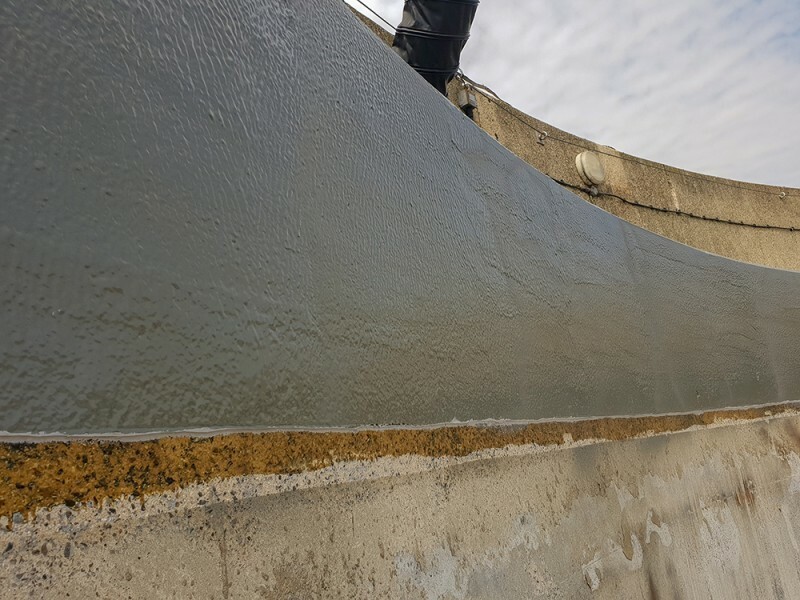 A fairing coat and Sikagard anti-carbonation coatings were then applied as protective finish coats. 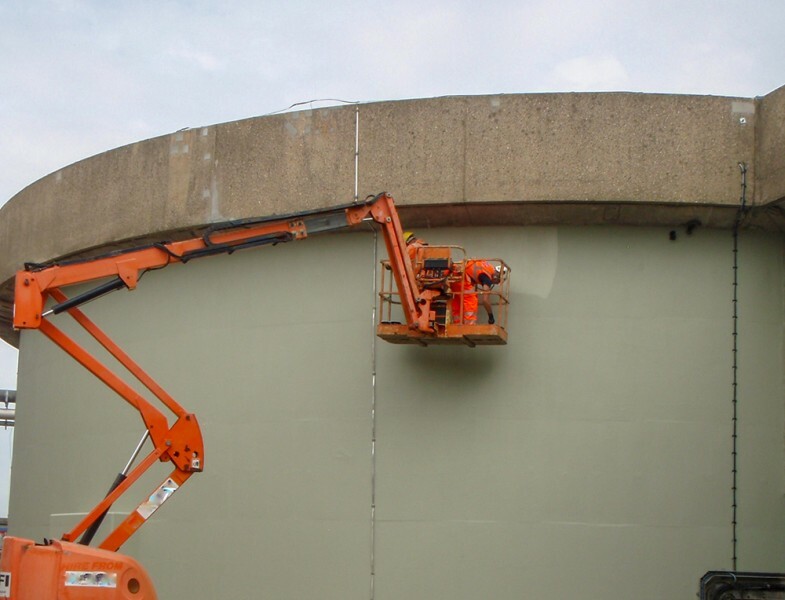 Additional works included the coating of the internal top bands of both tanks with a hot sprayed polyurea lining, to provide further long-term protection. 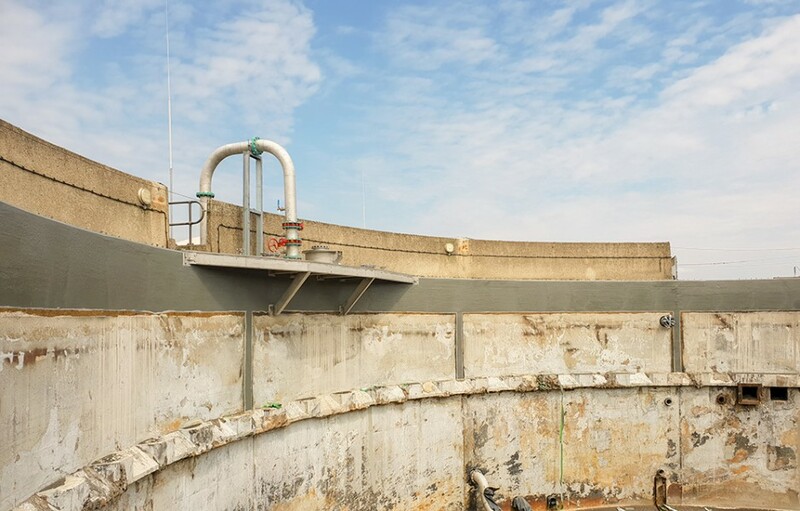 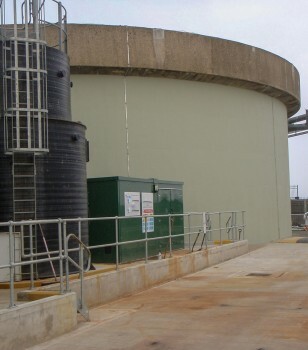 The refurbishment of the two digester tanks was completed in July 2018, providing the necessary repair and protection required to maintain the function of the Sewage Treatment Works for the foreseeable future.